It's easy to teach yourself Brazilian Portuguese! 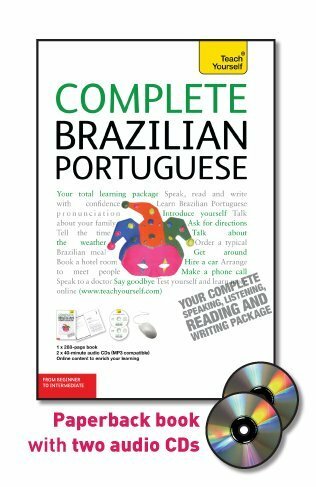 Complete Brazilian Portuguese with Two Audio CDs: A Teach Yourself Guide provides you with a clear and comprehensive approach to Brazilian Portuguese, so you can progress quickly from the basics to understanding, speaking, and writing Brazilian Portuguese with confidence. Within each of the 24 thematic chapters, important language structures are introduced through life-like dialogues. You'll learn grammar in a gradual manner so you won't be overwhelmed by this tricky subject. Exercises accompany the texts and reinforce learning in listening, speaking, reading, and writing. This program also features current cultural information boxes that reflect recent changes in society. The accompanying audio CDs include audio exercises--performed by native speakers--that reinforce communicative skills.